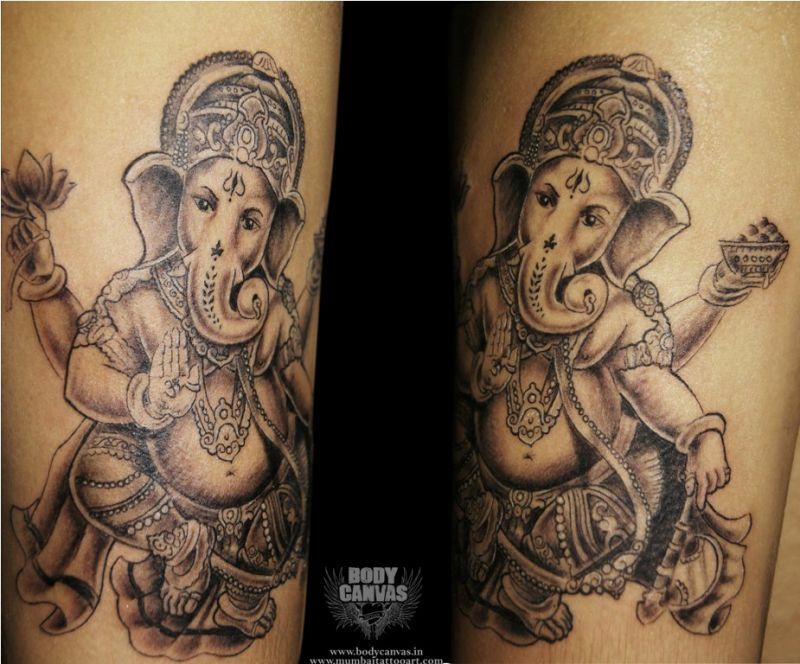 Youngsters are increasing taking to express their faith with religious tattoos. 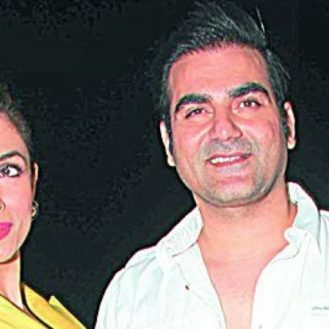 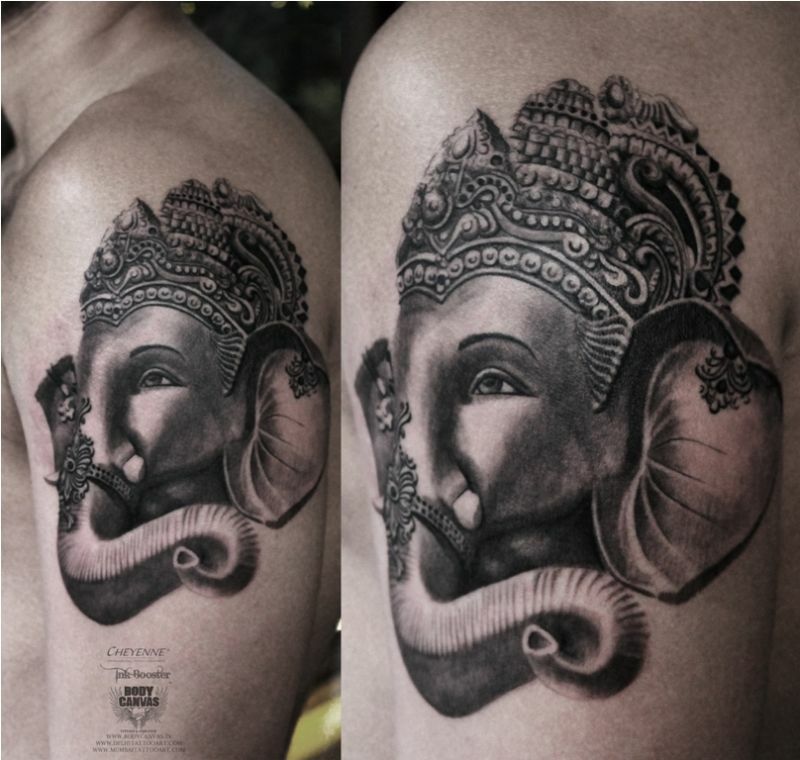 Getting a tattoo is truly a form of self expression; and celebrities like, Ajay Devgan, Angelina Jolie, Sanjay Dutt, Shilpa Shetty, Mandira Bedi, Esha Deol have never shied away from flaunting their religious beliefs by getting them engraved on their skin. 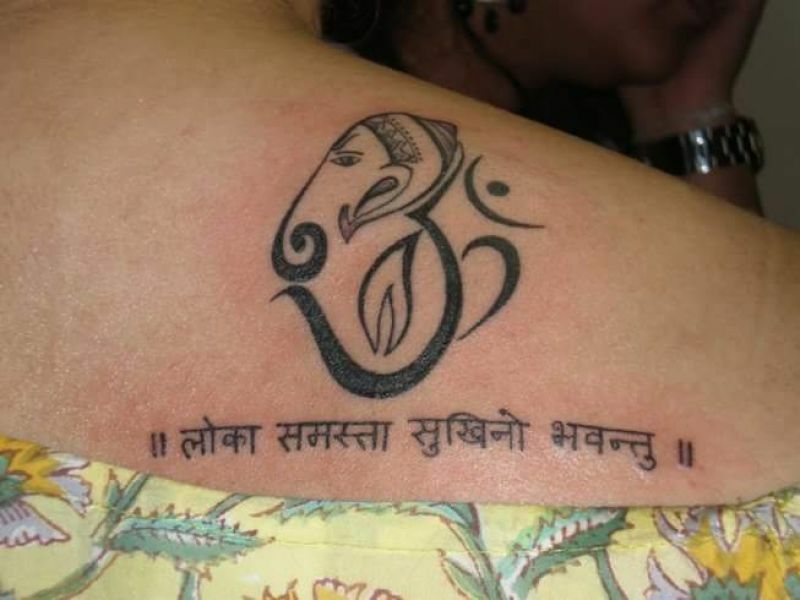 Whether it’s name of a God, a shloka/mantra, crosses or Bible verses, religious and spiritual tattoos have become increasingly popular among people of faith. 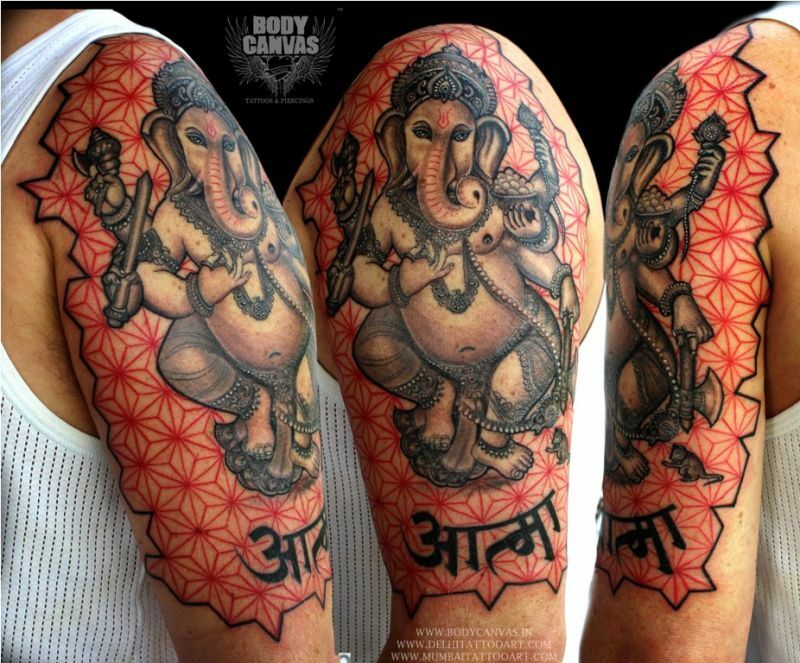 Trend of people wearing art on their skin to reflect their faith or religion is growing more like a style statement! 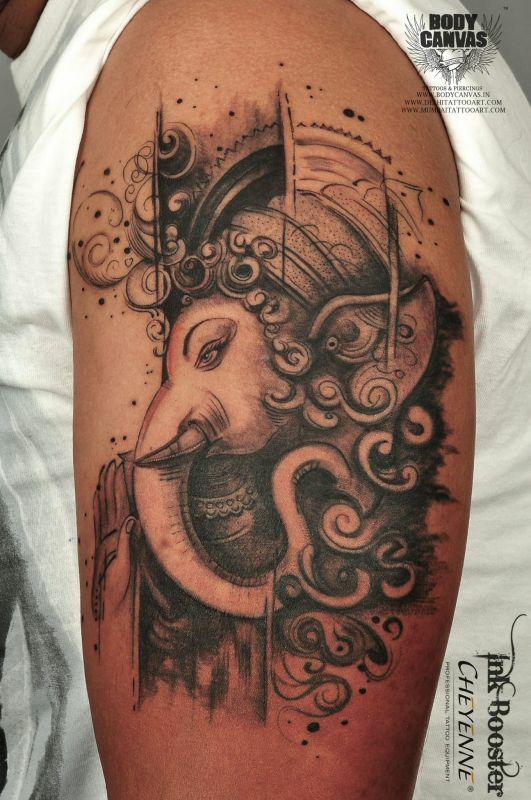 With Ganesh Chaturthi around the corner, people of all ages , especially youth would come up with their tattoo designs in the form of images, symbols, sacred words etc. 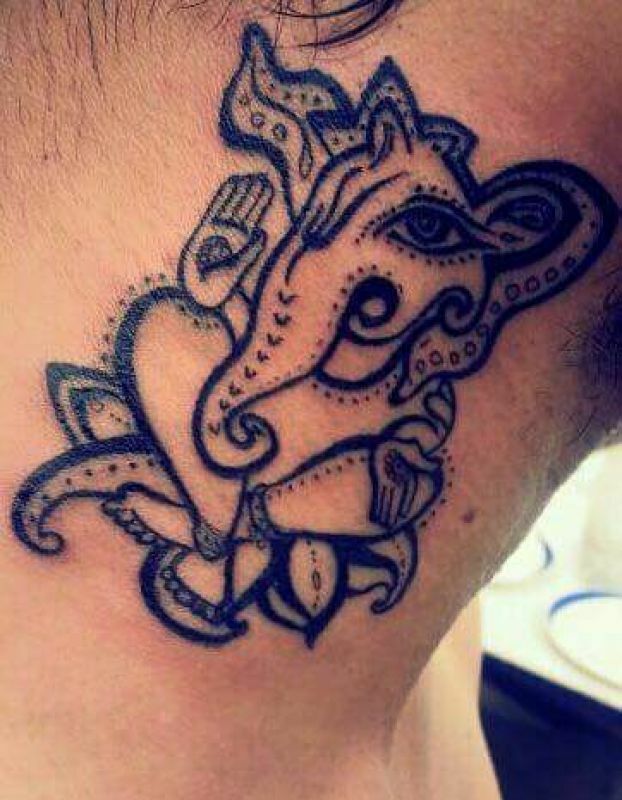 to dedicate love for their god and represent them. 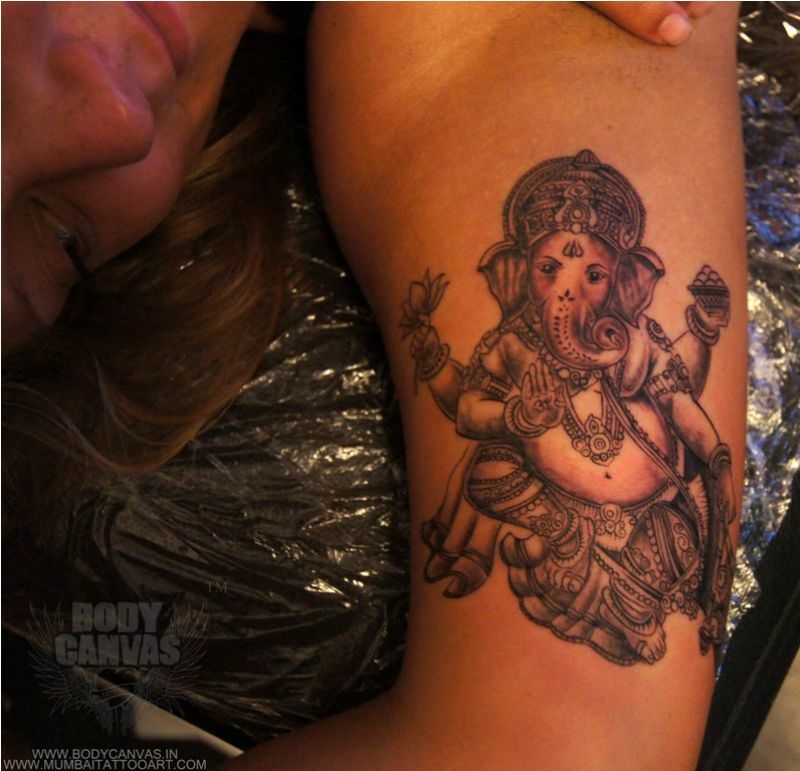 BodyCanvas Tattoos has listed down religious tattoo ideas to mark the celebration of Ganesh Chaturthi. 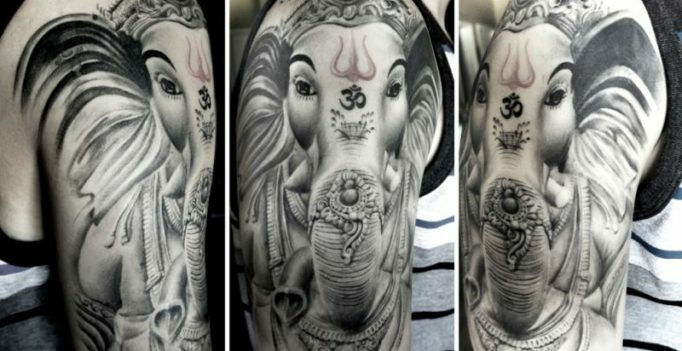 So,take some inspiration from these tats ; and if you love to worship Ganpati or are a firm believer of Lord Krishna,Shiva, Hanuman, Jesus Christ then don’t think twice to express your faith by getting inked, because tattoos are a symbol of good luck and success.